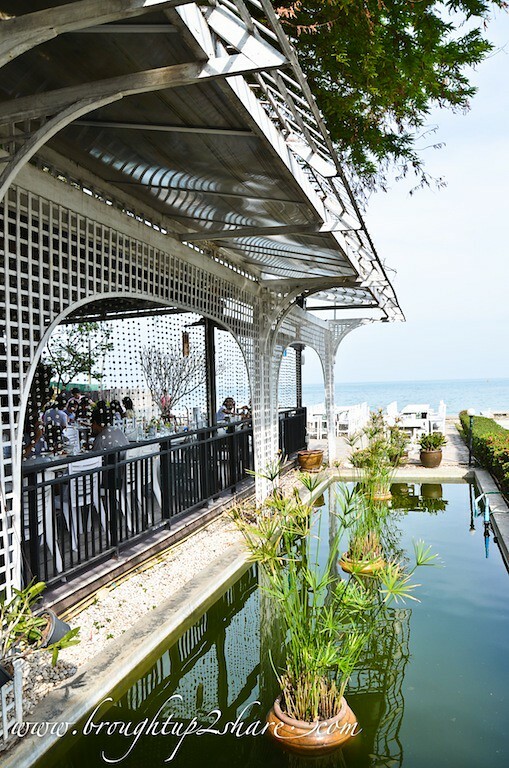 A favourite getaway for Bangkok residents, Hua Hin is a pretty beachside town. A rather different city unlike Bangkok, it lacks the all-night partying and seedier aspects; more family friendly & relaxed. Once a small fishing village, it was transformed into a royal resort, and it’s these close links with Thai royalty that ensure Hua Hin won’t become overdeveloped or lose its small-town vibe. Getting to Hua Hin from Bangkok is easy. All options for transport are available in this route – bus, van, car and train. 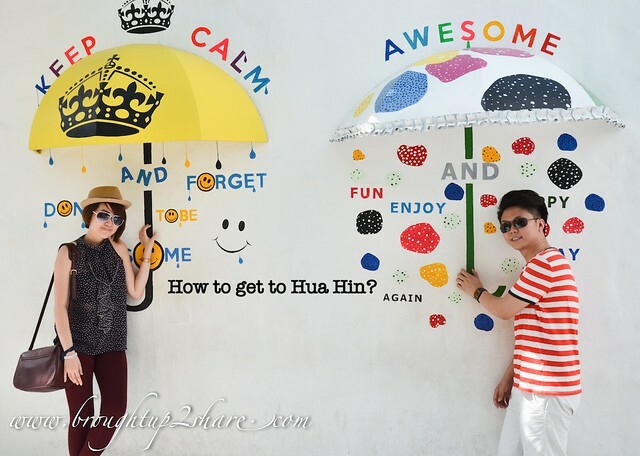 One of our favorite places to visit in Thailand is Hua Hin now. Only around 3 hours from Bangkok, Hua Hin is an extremely popular beach resort for Thais and tourists alike. New Shared Transfer Service between “Suvarnabhumi Airport – Hua Hin” and “Hua Hin – Suvarnabhumi Airport” with only 24 Seats. Thus, advance reservation is recommended and can be reserved via the website HERE. 1. It is operated by RoongReaung Coach Co., Ltd (RRC). Bell only provides advance booking channel for customers. 2. All tickets are not refundable. Customers please presents the service voucher or confirmation e-mail to our staff at HuaHin counter in order to issue ticket and luggage tag before boarding. 3. RRC reserves right to allow only customer with the same booking name on board. 4. There is no pick-up service from your hotel. 5. If you miss your coach departure time, your ticket is expired. 6. The boarding will generally start 10 to 15 minutes before coach departure time. A wonderful way to get from Bangkok to Hua Hin is by train. Their trains are well-known to be clean and fun to travel in, although this is not always the fastest or most efficient form of transportation. The train from Bangkok to Hua Hin travels several times a day. The train trip could take up to 4 to 5 hours, which is longer than driving or taking the bus/ van. If you’re looking for a cheaper mode of transportation, taking the train to Hua Hin is highly recommended as it’s really cheap (price range from 44 baht to 200 baht; RM4.4 – RM19.90) depending on if you go first, second or third class, and the scenery along the way is lovely. However, this is more time consuming. Journey is about 3 hours from Bangkok to Hua Hin and the bus arrives right in the middle of Hua Hin town. However, you would need to travel to the Southern bus station in Bangkok, which is on Borommarat Chonnani Road close to Pinklao Bridge. Best way to get there is to take a taxi, but there were some reviews we’ve read saying most taxi drivers didn’t know where they were going as they do not really understand what tourists are saying and they have to write the name of the Southern Bus Station, in Thai. Convenient and very cheap too. We would say this is the best choice of transportation to Hua Hin among all. 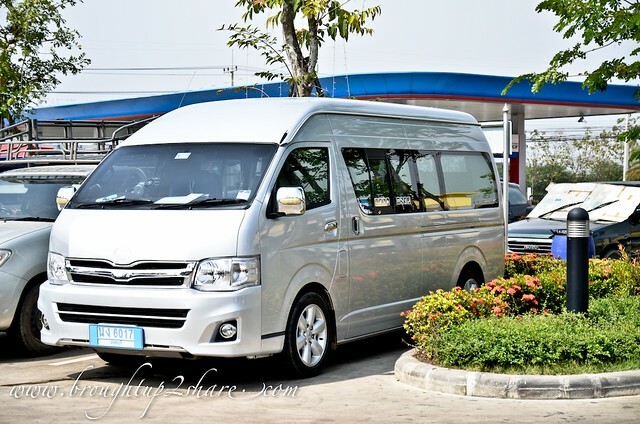 Just go to Victory Monument by sky train and find one of the many mini buses or van going to Hua Hin & make sure you get a direct van to Hua Hin. 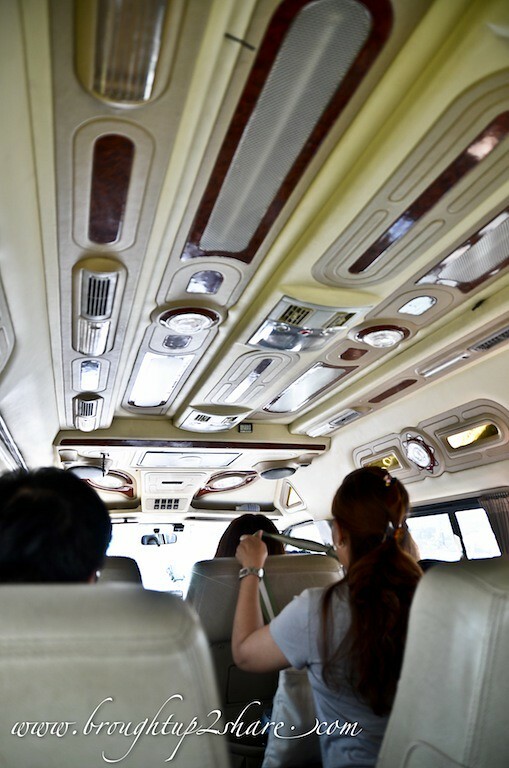 It’s only about 180 baht (~RM17.9) and the vans leave approximately every 15 minutes, depending on how fast the van fills up & they will leave as soon as it’s full. Journey is about 3 hours. And as for us, as we travelled in a group of 8, we engaged with a transport agency named Toey Member, which was pretty reasonable. The 4D3N trip costs about 1500 baht per pax inclusive of petrol & tolls (approximately RM149.4). We just need to tell the driver where to go and he will take us there. He too will recommend places to eat & interesting place to visit. Hiring a taxi from Bangkok to Hua Hin is very easy. You can either book a taxi through your hotel or, often, can just flag one down by the side of the road anywhere in Bangkok and most of them will take you. The cost is quite expensive, compared to the bus or the train. It could cost around 2,000 to 2,800 baht depending on how good your negotiation skills are: RM199 – RM279). Would advise to take Van instead. 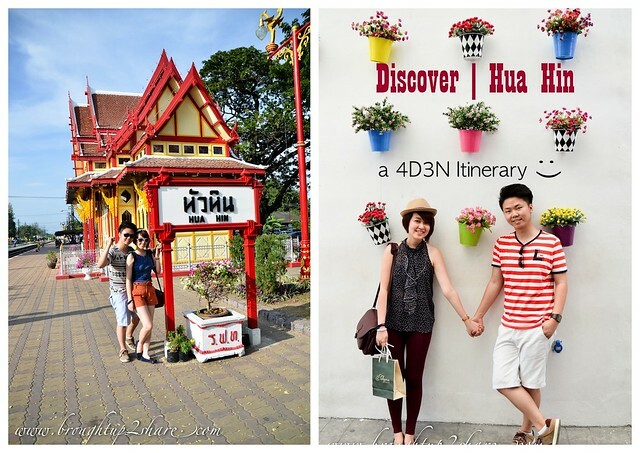 For our Discover Hua Hin 4D3N Itinerary, CLICK BELOW! Oh, what a coincidence! I was in Hua Hin last year too, for business trip though and I have just finished posting on the ‘little’ view I have had of Hua Hin during my trip. A pity, and your sharing just makes me wanna go back! I have heard of Hua Hin years ago, and it is indeed a hidden gem…how I long to go back! I was in Bangkok a few months back too..hehe, for leisure this time, and good for me too! I ‘ve just asked quotation from Toey Member, and also how to make payment, it seems that we have to pay 50% deposit into their bank account and the remaining will be paid after the trips end. I would like to ask whether you encounter the same as well? How was the service? Is it reliable that they will bring you the the place wherever you want and punctual? The best info ever, thanks guys! Thanks for your valuable info, I am going to BKK this Dec, m planning to visit Khao Yai area, is toeymember reliable? How’s their service? Thank you. It seems to me their price quoted quite reasonable compared the rest. Hi…I am goin to Bangkok on mid nov & I plan to go hua hin as well. would you mind to share you itinerary with me so I can use as a guide. TQ! Hope it helps. Happy holidays! I am planning my trip to BKK Hua Hin on next yr Apr. Thinking to use the tour agency u intro. Just to ask your is the tour agency u engaged reliable? Need to pay deposit in advance? How you contact him when u are in bangkok? By email also? During our visit to Hua Hin, Toey member’s driver was really helpful (although there’s some communication barrier haha). We personally thought they are reliable so no worries about the safety. We kept in touch with our driver via mobile. Pretty convenient. Yes. Your info helps alot. I just booked him for the day trip in Hua Hin. Hope he will give us a good service and unforgetable trip. Hi Pretty ..I am goin to Bangkok soon. After read your Love blog make me wanna put Hua Hin in my must go list too… Need your advice, i will rent a taxi to Hua Hin 1day trip for 2pax they charge us 3000B and sent us to Hua Hin Hotel nxt day then back to BKK by ourself- ( is the price reasonable) but for the nxt day i would like to go back BKK used Van (ur info mentioned tat used van the fare more cheap rite ^^) whr can i get the van at Hua Hin ya? at hua hin town area ? Hi, I had contacted Toey member, the price he quoted me is quite reasonable. But I have no confident on him, as I couldn’t find any comments or introduction about him in internet. Can you share some comments about the driver? Is he a company or freelancer? Sorry for the late reply. Toey Member is a company. He driver we engaged with is just one of the driver in the company. And as for our driver, he doesn’t really know how to speak english but we are alright with that since we planned our own itinerary. However, he would still be able to give comments of the route that we plan is not right. He also will recommend places. are we need to provide stay fro the van driver? 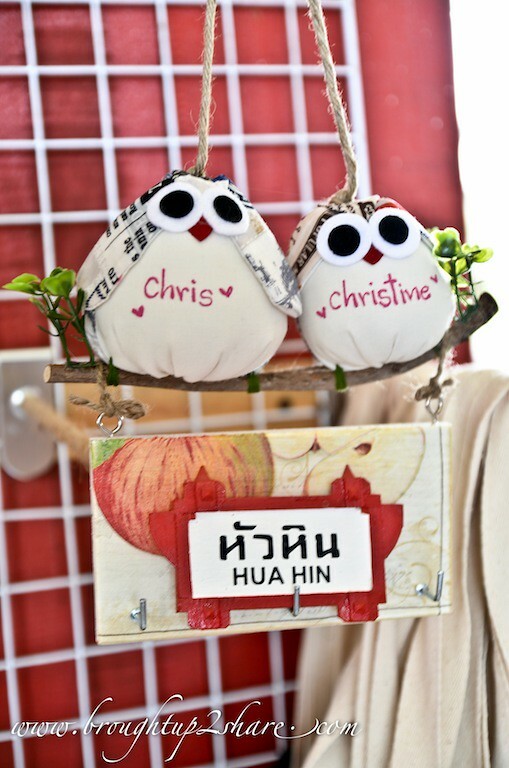 Hi, read your blog about Huahin : ). I’ve planned to travel by van from BKK to Huahin. Will they drop us at the hotel? Or they drop us in 1 area then we get a tuk tuk to hotel by our own? Do we need to buy ticket for our luggage too? Is it easy for us to get a van back to BKK easily? Hi, good day. 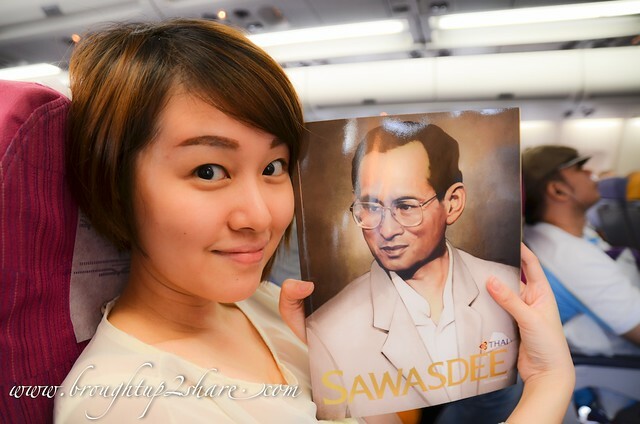 I have read your blog 4D3N trip to Hua Hin. I would like to check with you about the van you rented for the whole trip, it is from BKK to Hua Hin or you rent this when you reach Hua Hin? all four day in hua hin they drive u around? include driving from Bangkok airport to hua hin through and from? hi,may i know which hotel you stayed in Huahin? You have given you a nice trip to hua hin as i can see. Hua hin is really a great place in Thailand. It is a surprise of nature. Also one will like the city’s environment, restaurants, hotels, villas as they are really something we are dreaming always. Hi, are these get to HuaHin transport schedule are based from Suvarnabhumi Airport? How Much IF by one VAN bring us to Hua Hin from bangkok Citin Hotel Pratunam and Is it reliable that they will bring you to the place wherever you want during same road to hua hin and during period in hau hin ? ? we got 8 paxs for this trip. 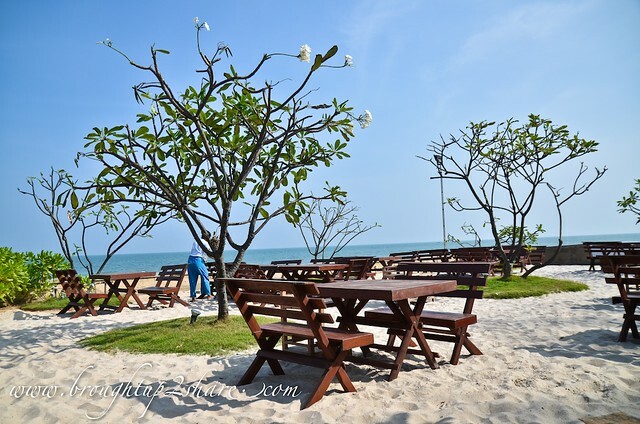 Planning stay 2 nights in hua hin by next mid 16 & 17 february ? Chicago Rib House @ 1 Utama: CNY Joy Luck Set!